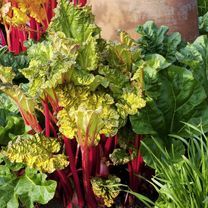 Grooveless Crimson - This compact rhubarb produces a bountiful supply of tall, uniform, fully coloured, bright red stems from late April-early July. 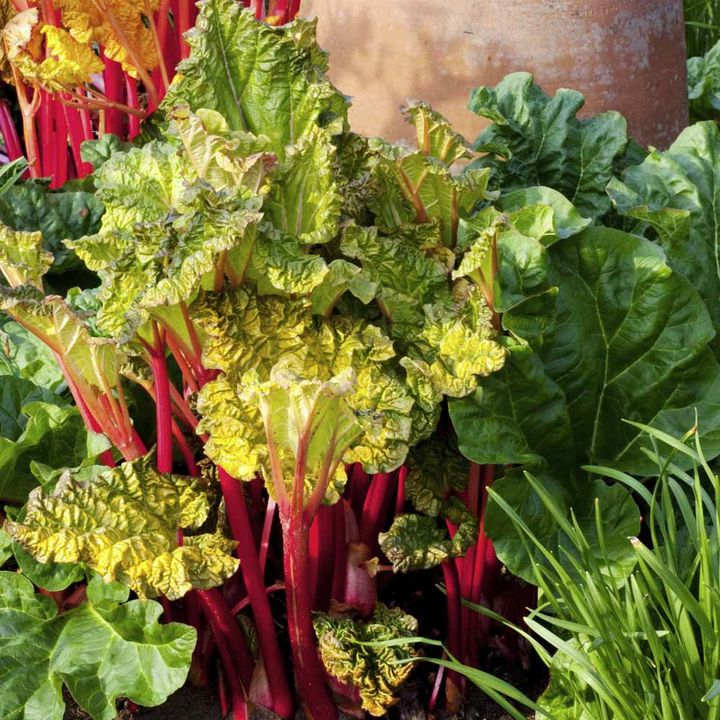 Less acidic flavour than many cultivars making it perfect for delicious crumbles and jams. Polish Raspberry - Quite possibly the best-tasting rhubarb we have ever trialled! 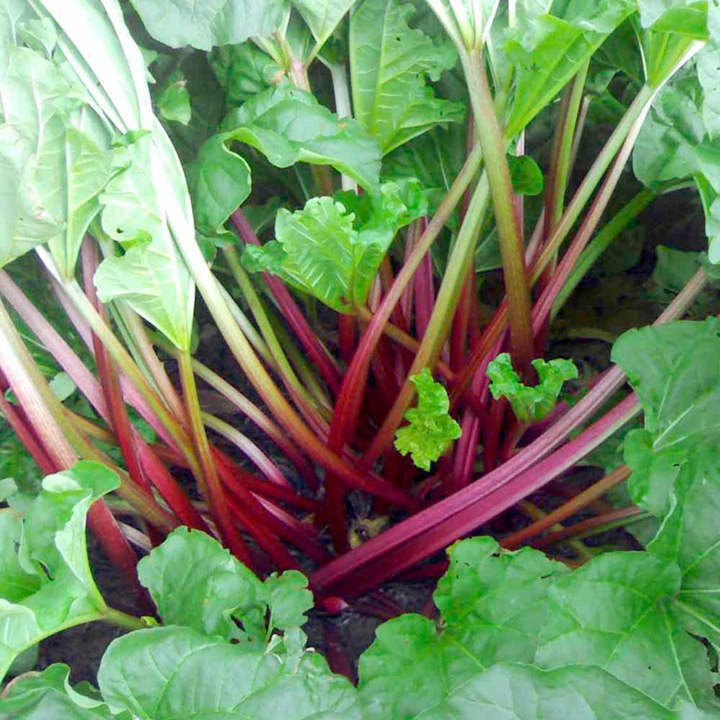 Produces good crops of strong green stems that are washed with red, and taste divine. Victoria - A reliably heavy cropper. An easy-to-grow old favourite. Ideal for beginners as it requires so little attention! 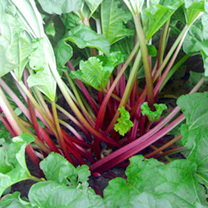 The greenish-pink stems have tender flesh with an excellent balance of sweetness and acidity.